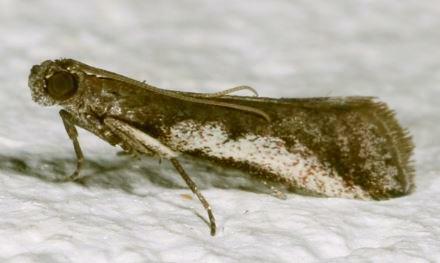 The moth has brown forewings with a ragged white stripe along each costa. The hindwings are white shading to brown at the edges. The wingspan is about 1 cm. Series 1, Volume 3, Part 3 (1879), pp. 211-212.